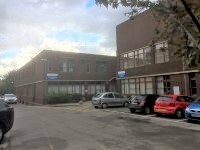 This is a medical centre property. 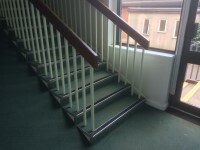 Services within the building include: Clinical Psychology, Community Mental Health Teams and Learning Disabilities. 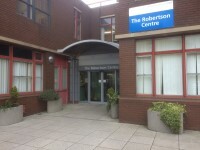 The Robertson Centre is located off Bewdley Road (A456) on the Kidderminster Hospital site. 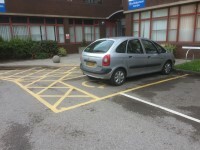 Blue Badge bays and standard parking spaces are available in front of the Robertson Centre. 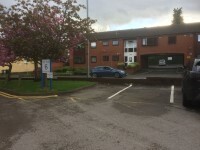 It is Car Park 6 on the Kidderminster Hospital site. 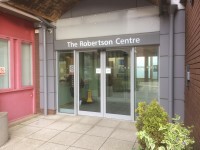 The car park is located in front of The Robertson Centre entrance. 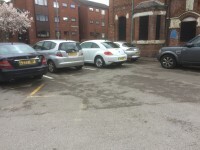 The dimensions of the designated Blue Badge parking bay(s) surveyed are 390cm x 600cm (12ft 10in x 19ft 8in). 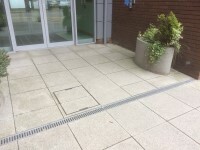 The nearest designated Blue Badge parking bay is approximately 15m (16yd 1ft) from the Robertson Centre Main Entrance. 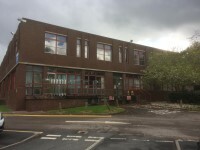 You are on Outside Access (Robertson Centre Main Entrance). Skip to the next section. The width of the door opening is 157cm. The reception point is located to the left on entering. 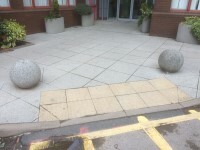 The reception point is approximately 1m (3ft 3in) from the Robertson Centre Main Entrance. 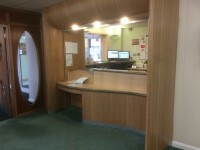 There are windows, glazed screens or mirrors behind the reception point which could adversely affect the ability of someone to lip read. 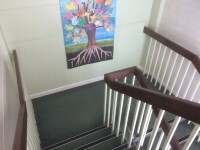 The type of flooring in walkways and corridors is carpet. The lift is located to the right on entering. Signs indicating the location of this lift are clearly visible from the entrance. 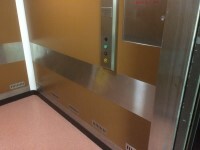 The lift is approximately 12m (13yd 4in) from the Robertson Centre Main Entrance. 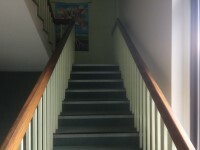 Clear signs indicating the facilities on each floor are provided on lift lobby landings. The clear door width is 129cm (4ft 3in). 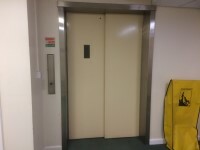 The dimensions of the lift are 160cm x 241cm (5ft 3in x 7ft 11in). 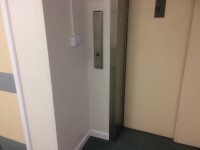 The internal controls for the lift are not within 90cm - 120cm from the floor. There is not a hearing loop system. 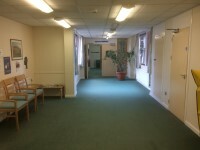 The nearest accessible toilet is located in the Learning Disabilities and Community Mental Health Team's area on the ground floor. 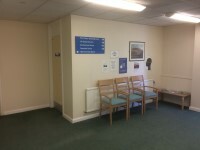 The nearest standard toilets toilet are located in the Learning Disabilities and Community Mental Health Team's area on the ground floor.